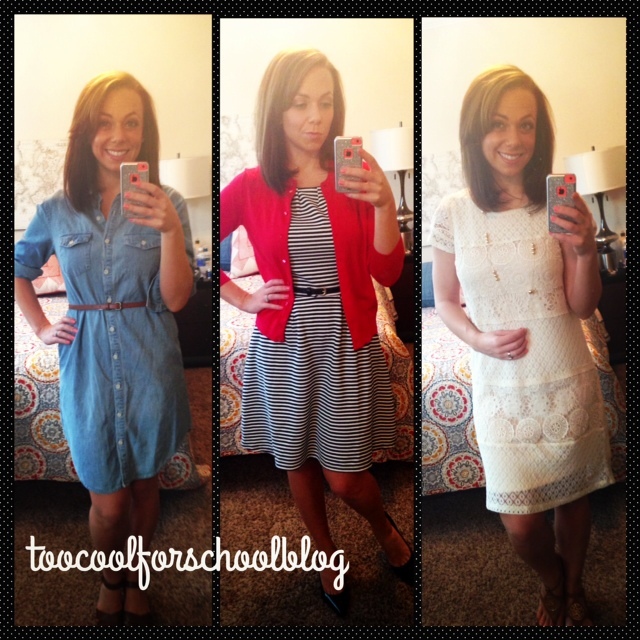 #1–The physical act of participating–You definitely start to feel narcissistic after taking and posting daily selfies, but I really liked the physical effort of finding an appropriate dress for every day, and even finding the time to take a picture. 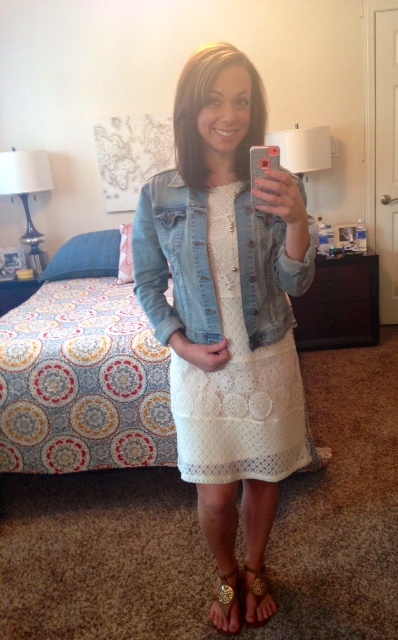 I find that putting physical action into less tangible concepts is very helpful for me (things like actually kneeling down to pray, or making a collage of things that I want to accomplish). 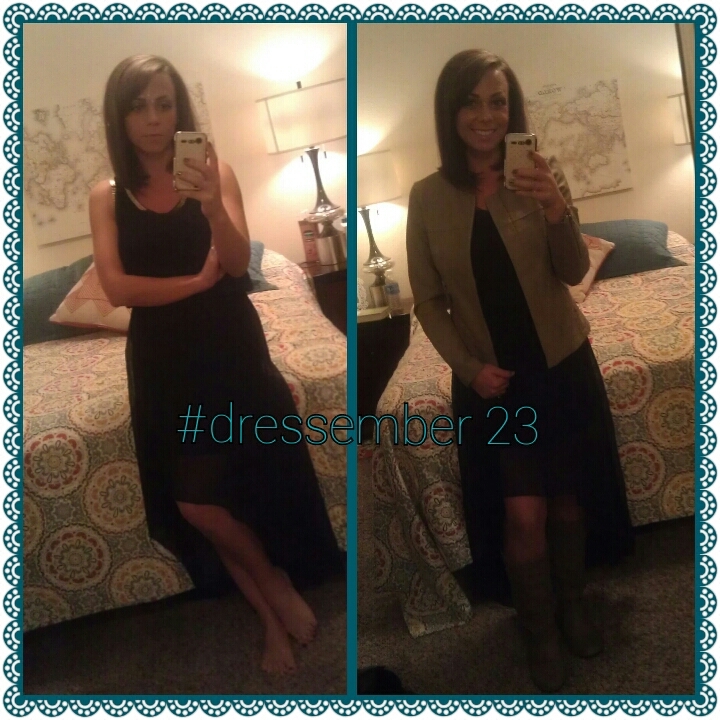 Every morning when I put on a dress, I thought about girls who don’t have closets full of clothes like I do, and who don’t have simple freedoms like choosing what to wear. 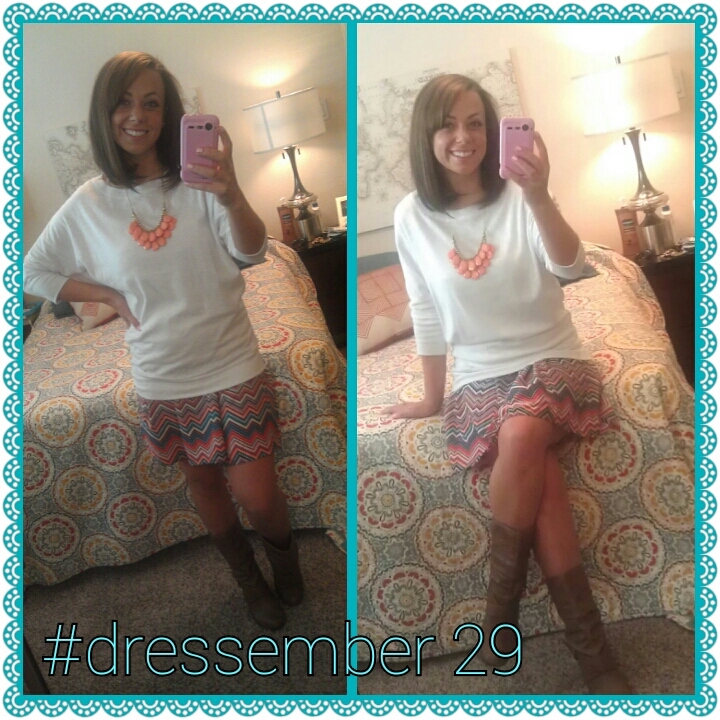 Just looking down at my outfit every day reminded me to pray for women who are enslaved, and to be grateful for everything I have. 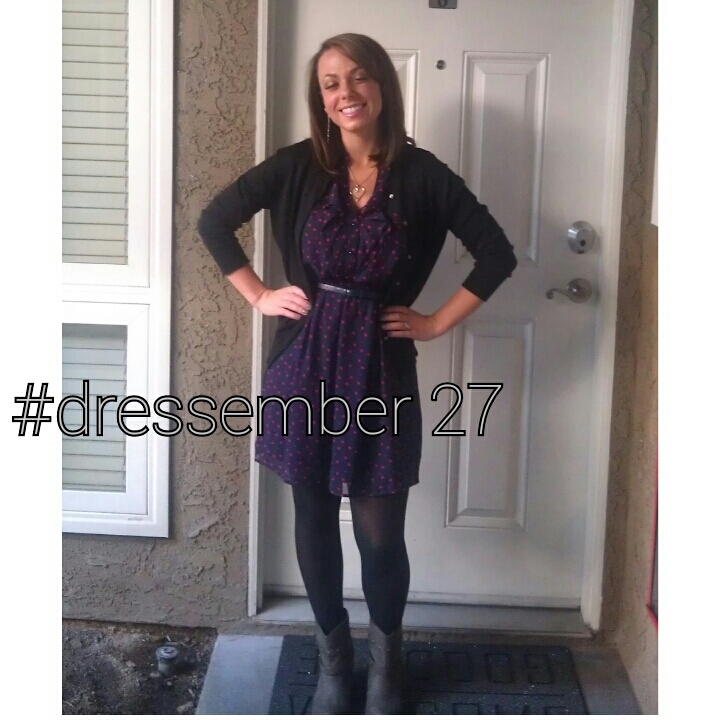 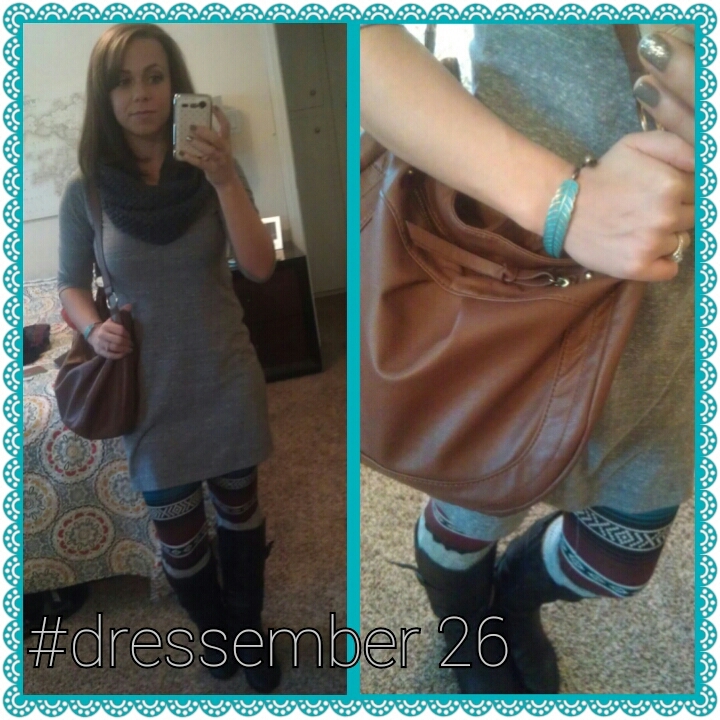 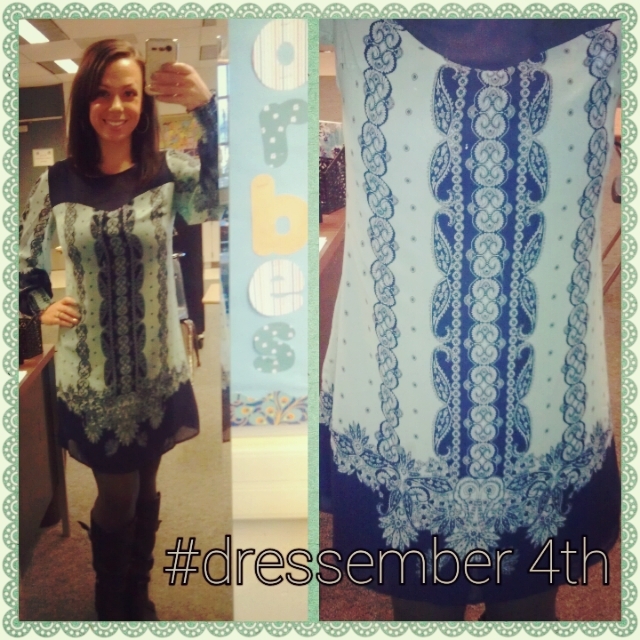 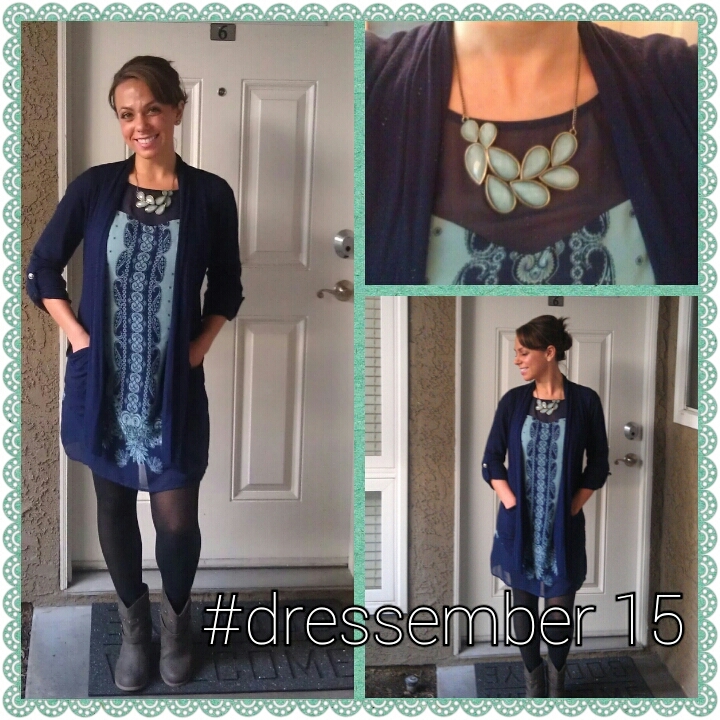 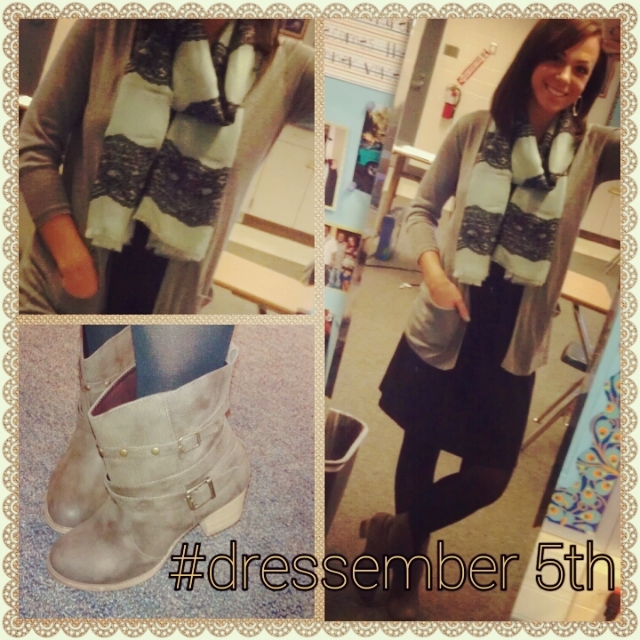 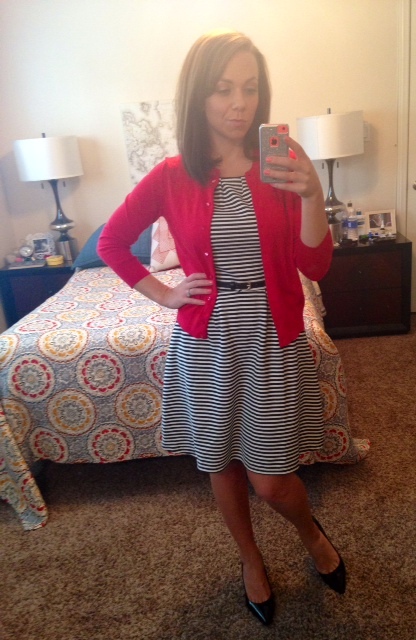 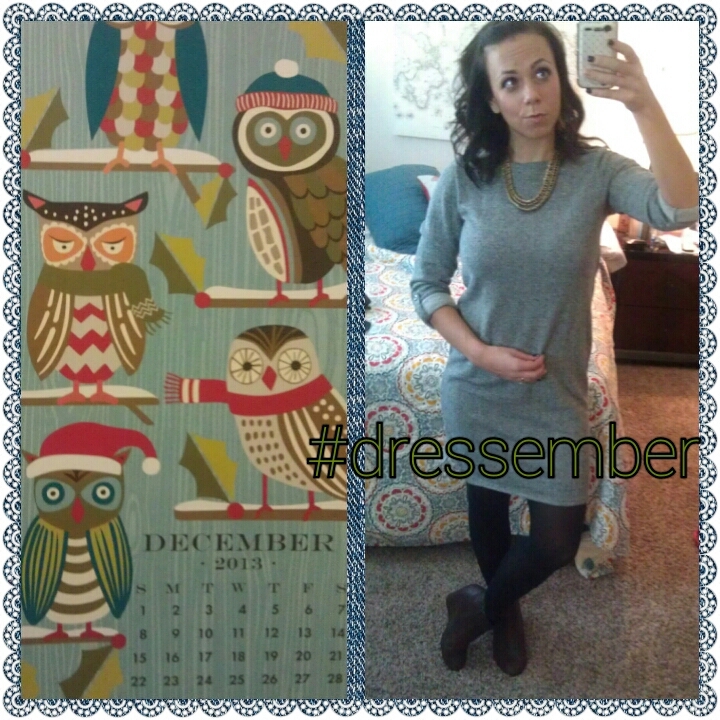 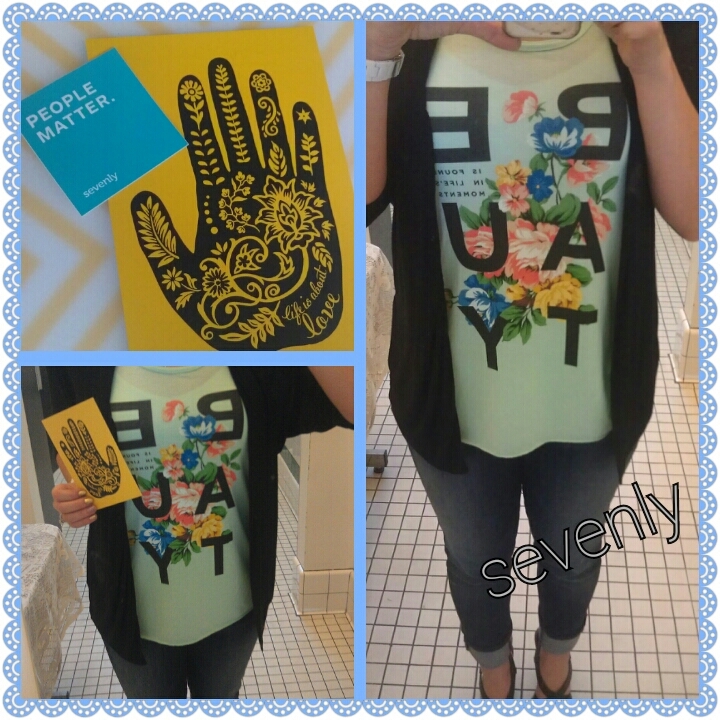 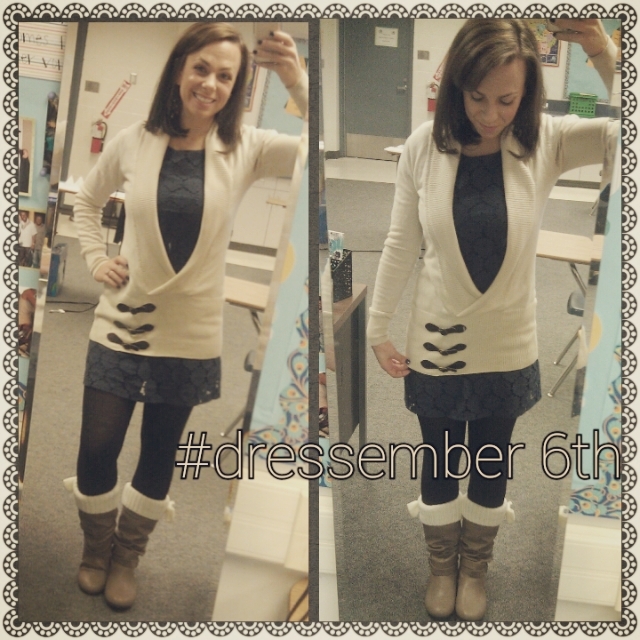 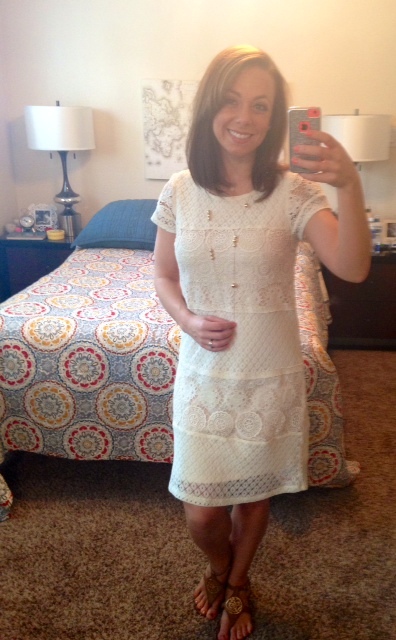 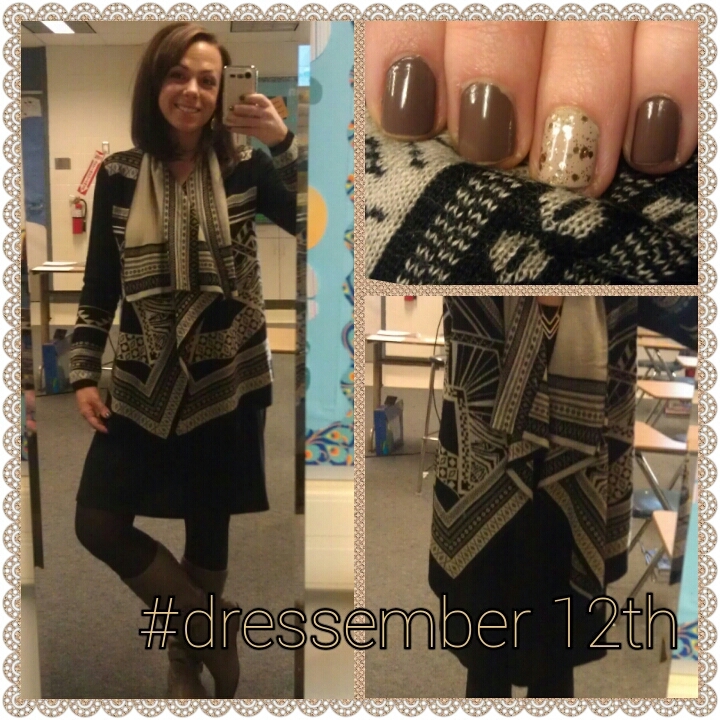 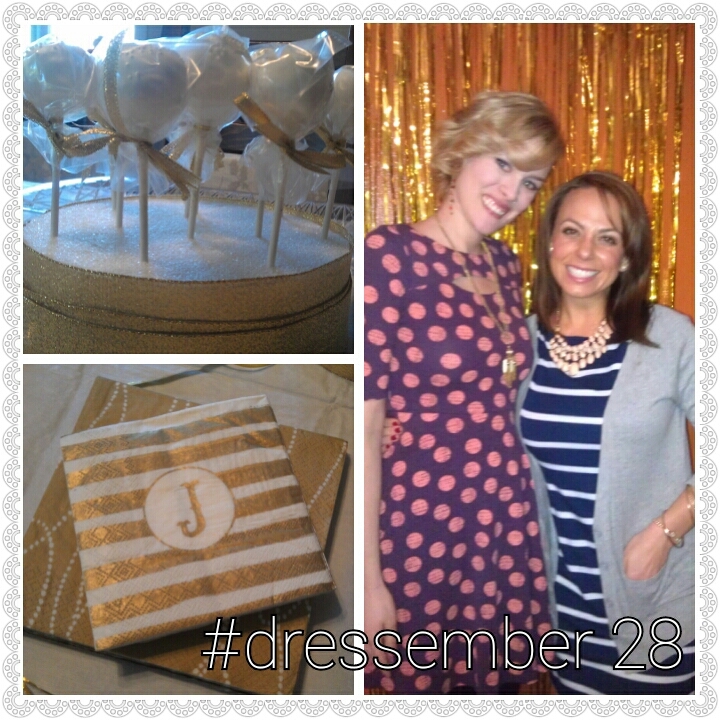 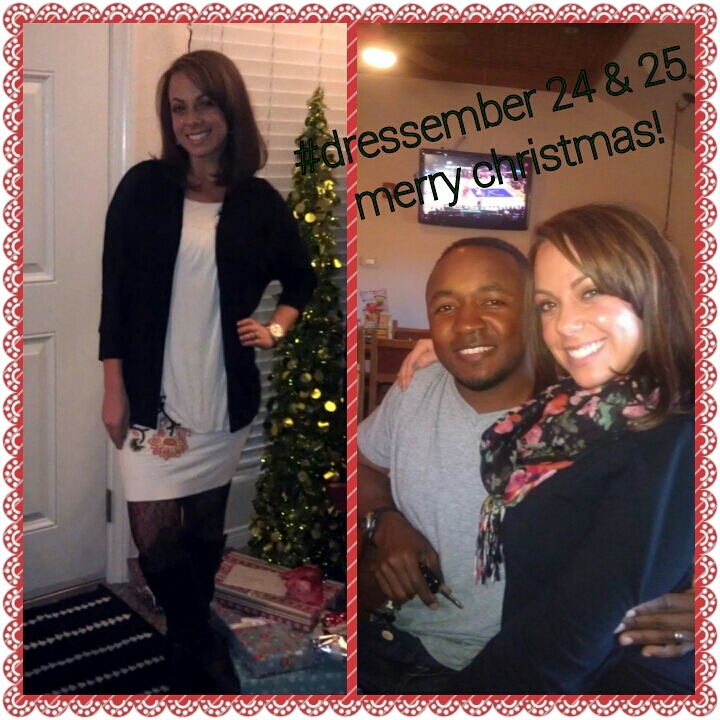 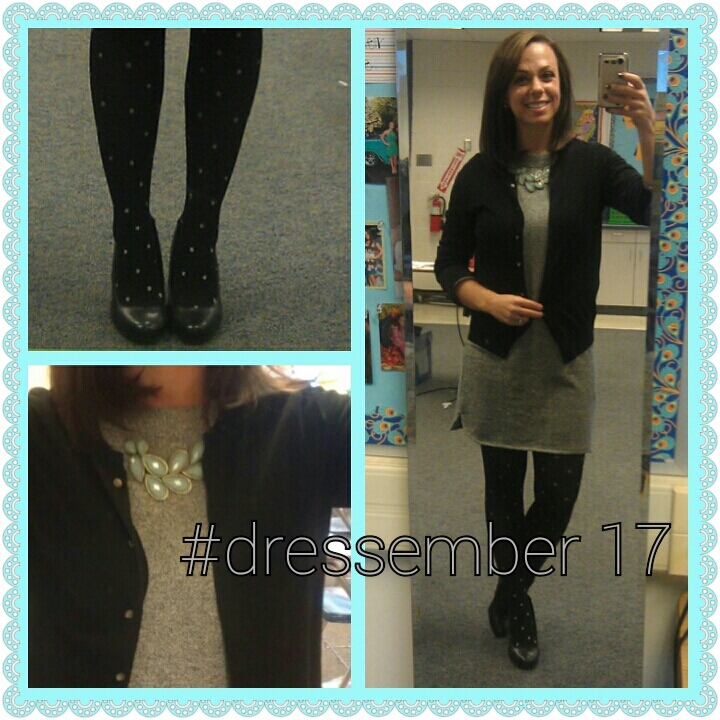 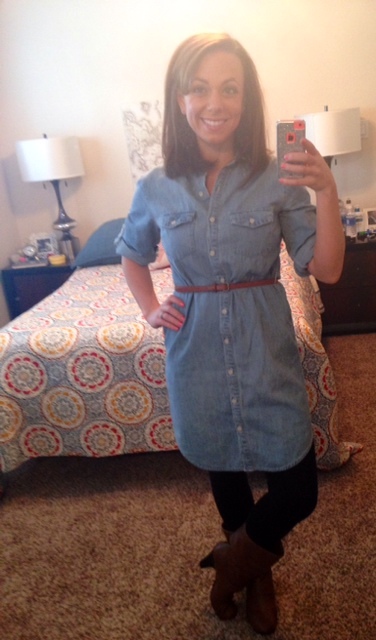 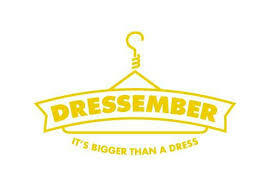 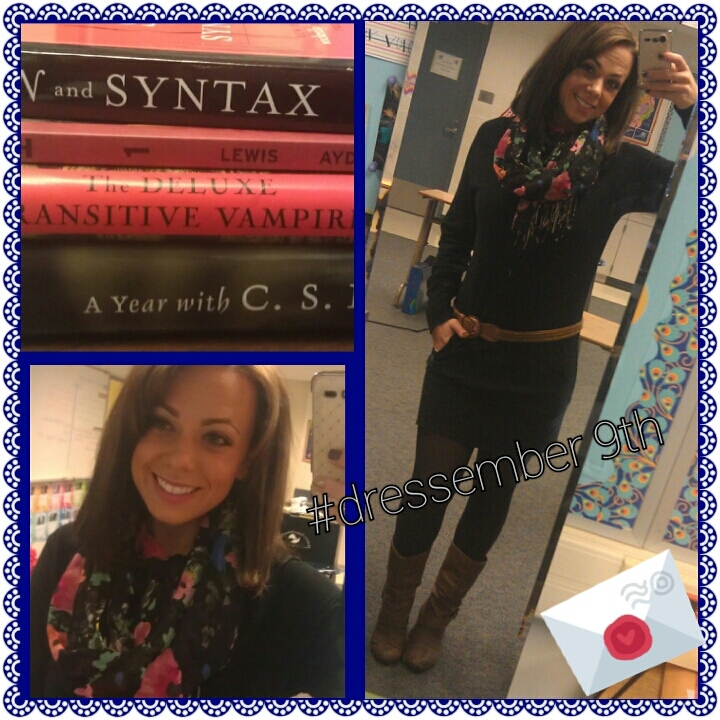 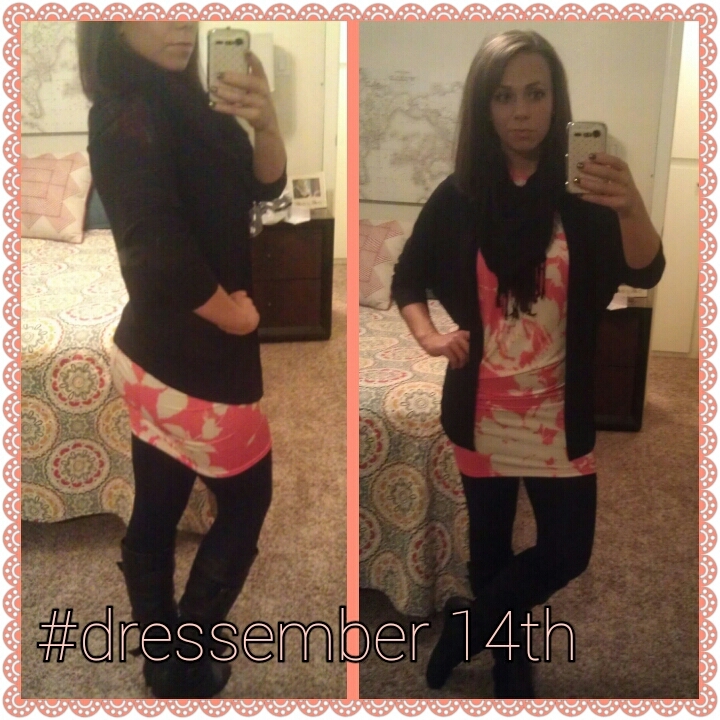 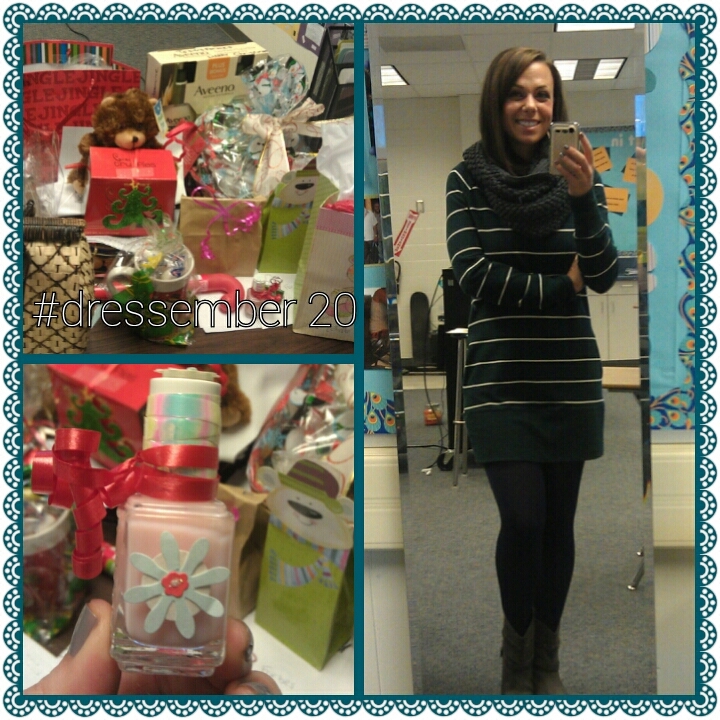 #2–The community of women on Instagram–I posted all my pictures on Instagram and made sure to hashtag #dressember2013. 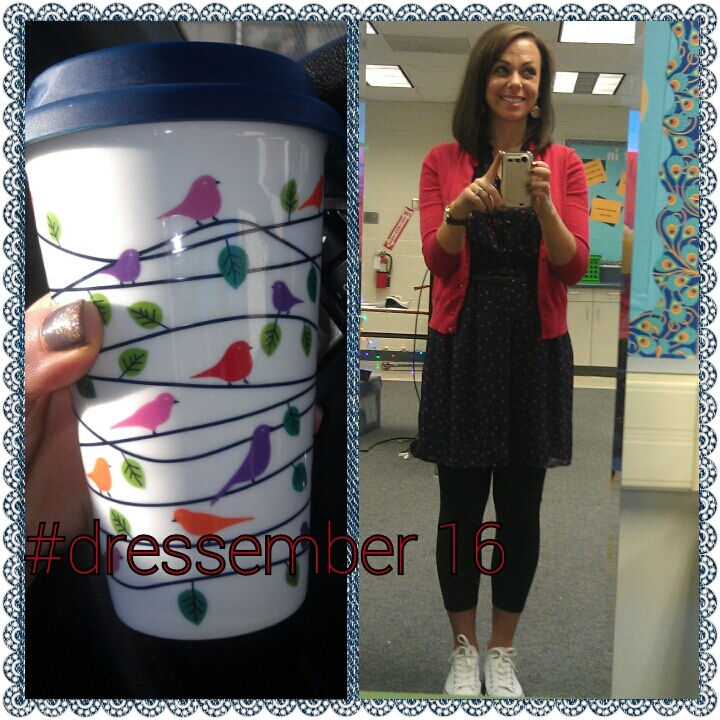 It was so much fun to click on the hashtag and explore pictures from other women who have the same passion for social justice that I do. 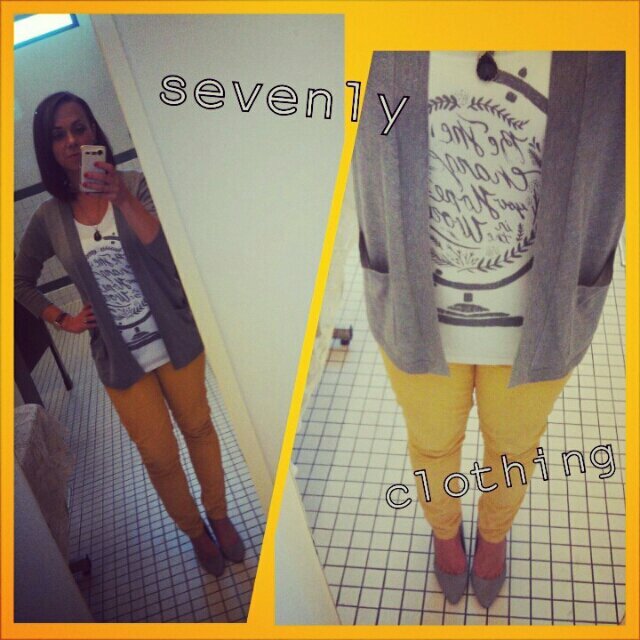 I started following some of them, and a few followed me. 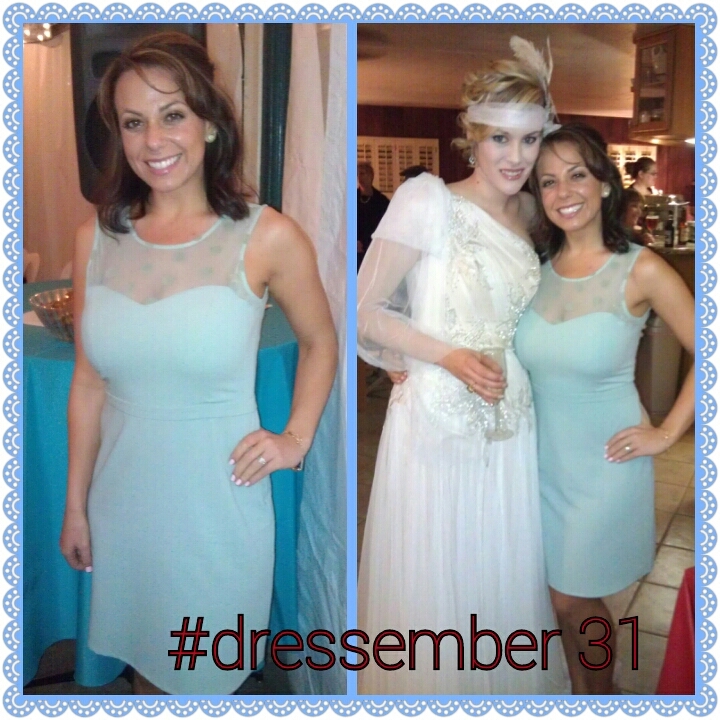 We left each other messages of encouragement and got fresh inspiration for how to spice up the same old dress over and over again. 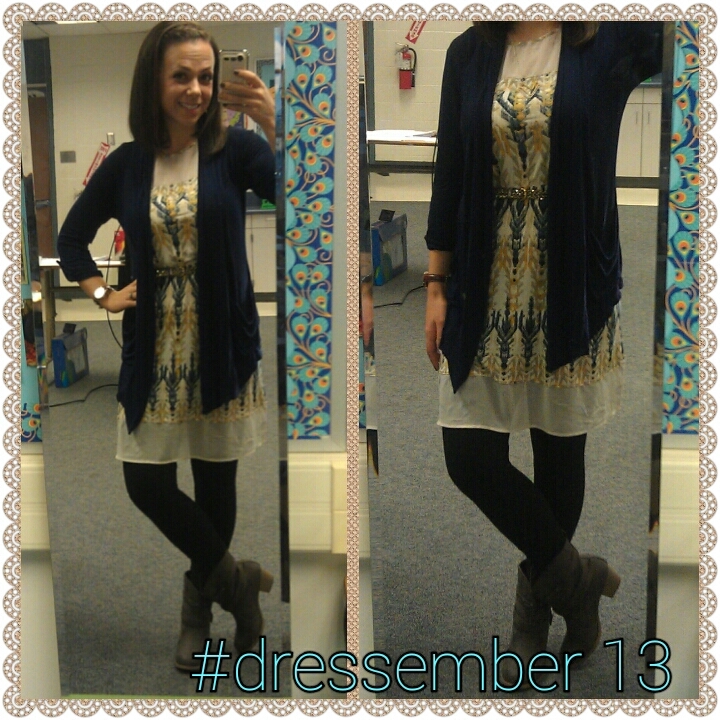 #3–Wearing a dress felt powerful–Often when I wear a dress I feel feminine, and a just a bit vulnerable. 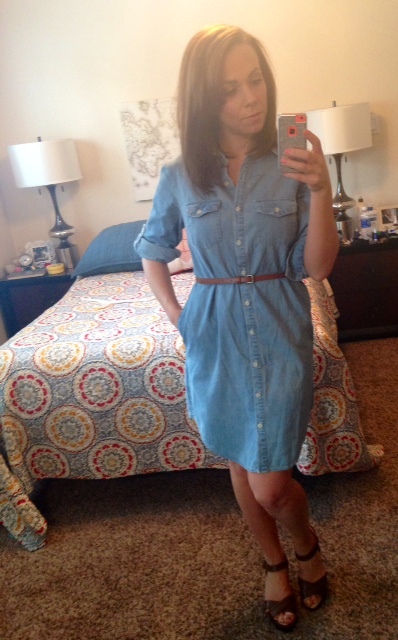 I can’t say that I have ever felt particularly powerful while wearing a dress before. 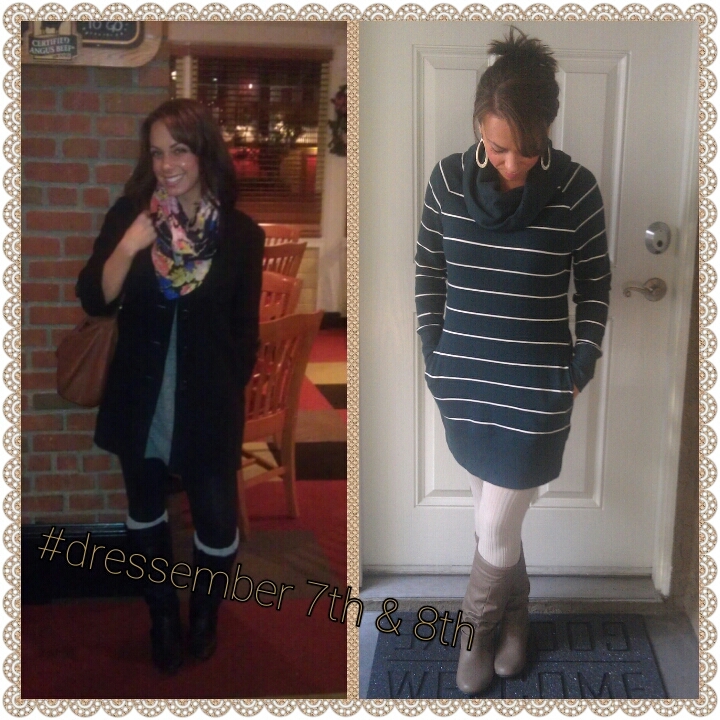 But during Dressember, as I saw the thousands of dollars pouring in as a result of our fashion choices, I absolutely felt powerful. 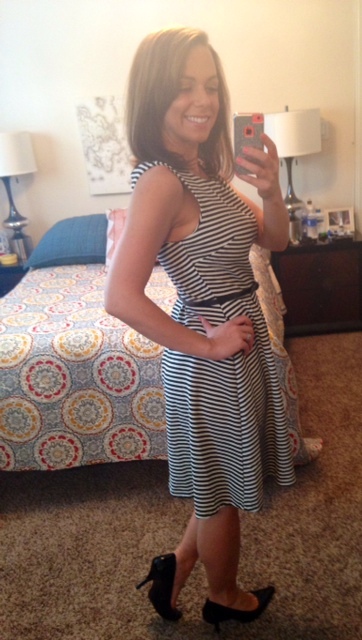 When I saw that the International Justice Mission had shut down a brothel, I felt like my dress had something to do with that. 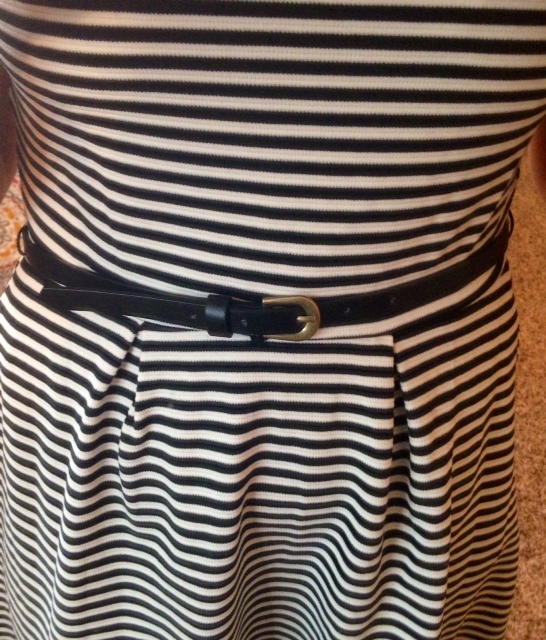 I’ll admit that some days it was a bit of a chore to put together yet another outfit with a dress, but when I remembered how much good it was doing, I just felt like a superhero! 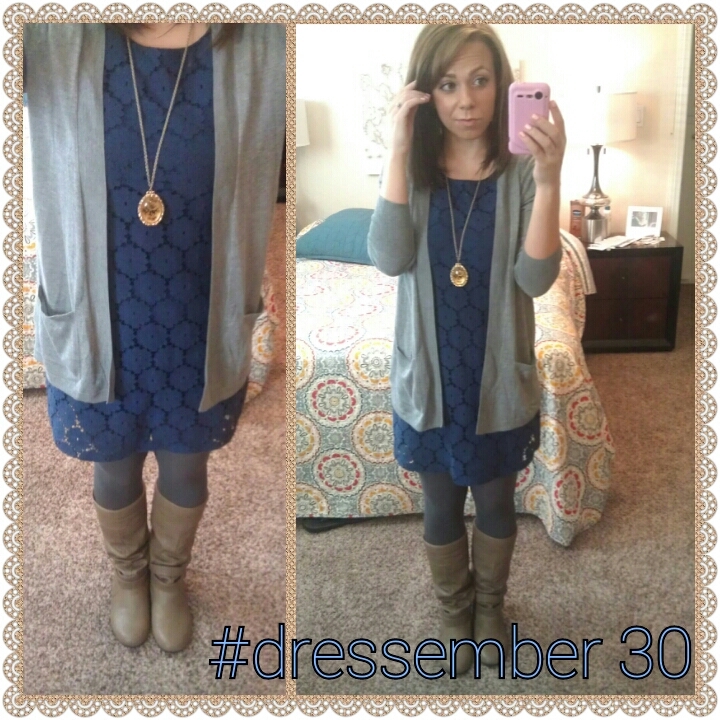 #4–The fashion challenge aspect–I love the look of a dress with tights and boots, but when it comes down to it I usually just wear jeans and a sweater. 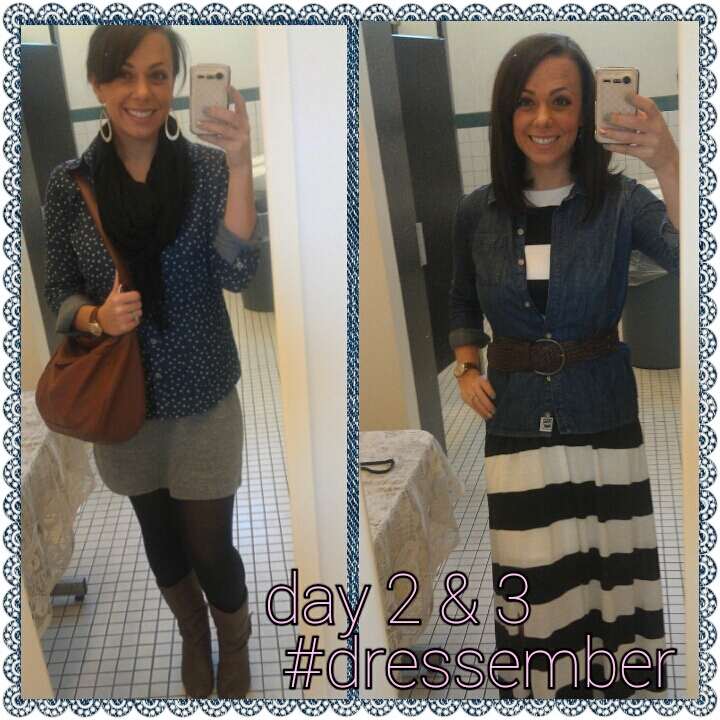 It was actually a lot of fun to put together outfits using the dresses that I had, plus try to stay warm, and be work-appropriate. 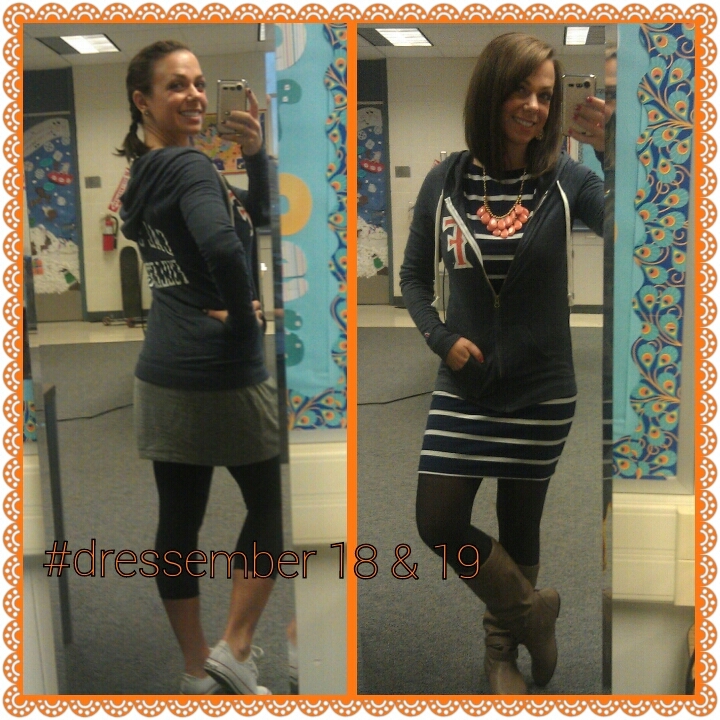 There were a few days at work when we had to wear college sweatshirts or school colors, so that added a little extra challenge. 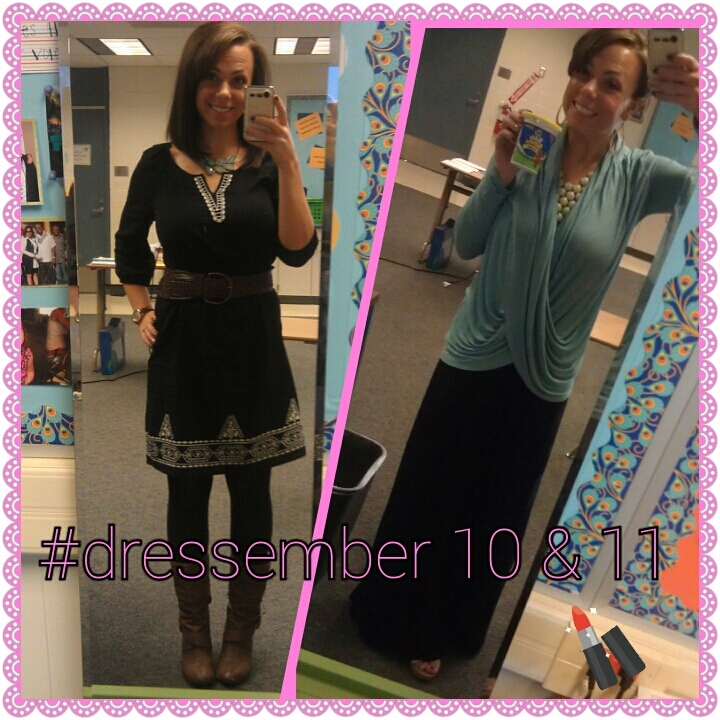 It is almost impossible to look sloppy when wearing a dress, so it was good for me to be forced to dress up every day. 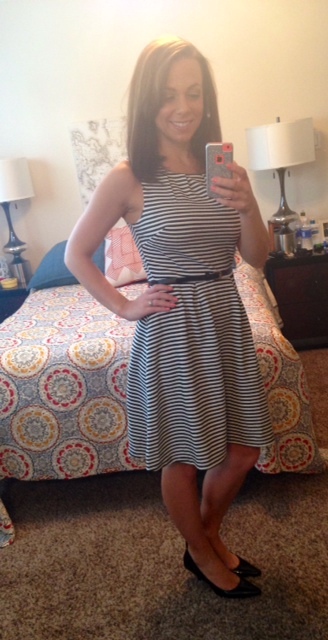 I am going to try and incorporate more dresses into my wardrobe, and remember that mixing and matching can stretch my wardrobe more than I think. 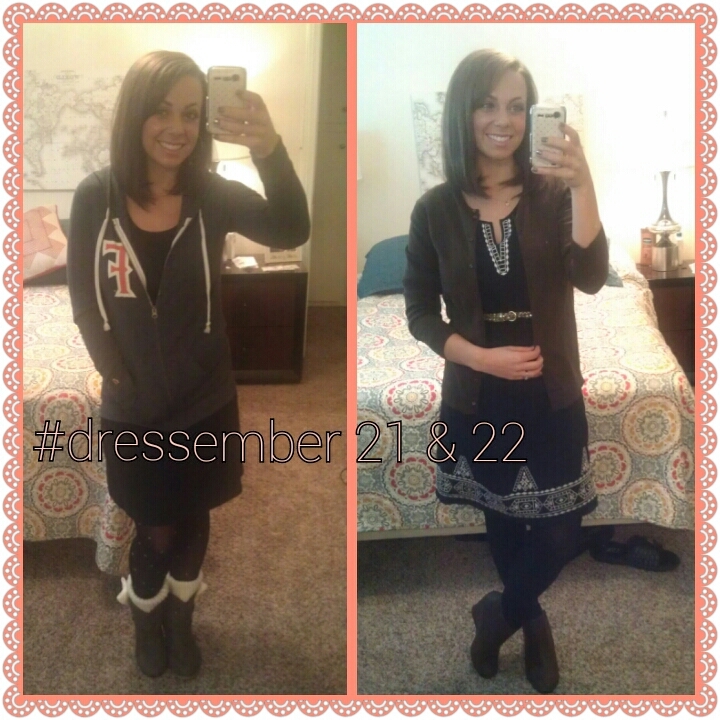 I only wore about 1/5 of the items in my closet, and I hardly even missed the other items!